Modern Arnis is the most recognized of the Filipino martial arts in the world and has been the national martial art and sport of the Philippines since 2009. Modern Arnis was created by Grandmaster Remy A. Presas’s. 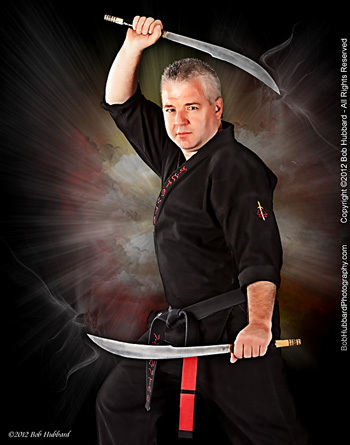 His goal was to create an injury-free training method as well as an effective self-defense system in order to preserve the older Arnis systems. Modern Arnis combines historical Filipino martial arts with modern training methods and new teaching concepts. Thanks in part to his efforts, the Filipino Martial Arts have enjoyed greater exposure and are practiced world-wide. Professor spent his entire life refining the art until his untimely death in 2001 at age 64. Modern Arnis combines empty-hand self-defense (striking, locking, throwing, etc.) as well as the trademark single and double stick techniques of the Filipino martial arts. Aspects of other martial arts also appear in Modern Arnis, including Judo, Shotokan Karate, and Small Circle Jujutsu. Training includes both single and double stick techniques as well as unarmed defence against both stick and bladed weapons. Originally, training focused on painful strikes that weren’t popular with those getting hit. One of Professor Presas’s ideas was to focus training strikes on the weapon, or cane. This made training safer and and allowed the art to be taught in the Philippines’ school system. Datu Hartman has designed a comprehensive training program for those interested in becoming proficient practitioners or certified teachers of the Filipino Martial arts. After the passing of the founder of Modern Arnis, Datu Tim Hartman became the most sought after instructor of this dynamic martial art. He has taught seminars throughout the United States and Canada, as well as England, Germany, Sweden, Denmark, Poland and Barbados, to name a few countries. Under his guidance students will receive personalized training in our safe and clean training facility.